Facebook has implemented algorithm updates that essentially decreased organic reach down to zero. So, what are you doing to increase the reach of your posts? I often find myself assisting businesses who have spent time building their Facebook page; however, they do not have the ad budget to consistently reach their audience. Beating the Facebook algorithm is no easy task but you must start somewhere. If sharing is caring then sharing great content is a gift–that keeps on giving. In fact, Facebook rewards valuable content by extending its reach. Remember, Facebook wants its users to stay on the site. 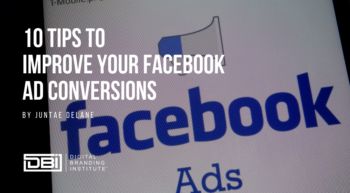 The longer users stay on the site, the more ad revenue Facebook is able to collect. Therefore, if you produce content that resonates with users (or in this case keeps users on the site) you’re on the way to beating the Facebook algorithm. Since I just talked about Facebook wanting to generate more advertising revenue, it only makes sense that we talk about Facebook Ads. Let’s face it, this is the sure-fire way to beat Facebook’s algorithm as organic posts aren’t the best way to reach your audience. So using Facebook Ads will help you get there. Facebook has created a simple way to create ads regardless of your budget. Even with a budget of $5, you can have your ad up and running within the hour. Since Facebook’s organic reach is pretty much nonexistent, you should focus on what’s working on the network. The best way to do this is to frequently review your Facebook analytics to track which forms of content resonate with your audience. To beat Facebook’s algorithm you must understand what content is receiving the most engagements. Are images getting the most engagements? Are video posts working well? Look for trends and replicate for success. 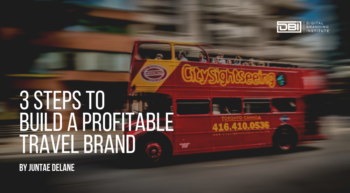 Incorporating other social network’s owned by Facebook will benefit your overarching social strategy. Instagram images, for example, are great to post especially if you want to build your following on that network. Also, users love images and if images similar to Instagram are posted on Facebook, I’ve noticed an increase in engagements. I should note, however, that I’ve noticed a greater reach for Instagram posts than Pinterest or any other social network. For instance, uploading a video on Facebook versus posting a YouTube link will provide greater reach. 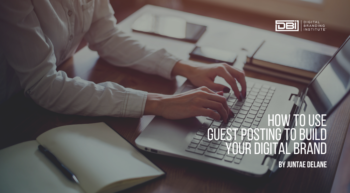 Diversifying your Facebook posts by posting various Tweets, Pins, and Instagram photos is beneficial, but posting video is even better. To compete with YouTube, I believe Facebook is increasing the organic reach of videos. During this time last year, video may have accounted for 15% of my timeline, now it’s at least 50%. Video is working well on Facebook and, soon enough, you can expect to see Facebook increase organic reach of Snapchat style posts. Just watch. There is no silver bullet to beat the Facebook algorithm as reach is significantly increased by paying for ads. However, there are ways to increase organic reach by posting content that Facebook rewards. Apply these tactics and you’ll be well on your way to winning the bout.